The magnitude 6.4 earthquake struck southern Taiwan at 3:57 am on February 6, 2016, resulting in 117 casualties and hundreds of people injured in Tainan, Taiwan. Over 400 schools in Taiwan suffered damages in the earthquake. Right after the earthquake occurred, while it was still dark outside, volunteers from Taiwan Buddhist Tzu Chi Foundation living in Tainan already mobilized and began disaster relief at the scene. 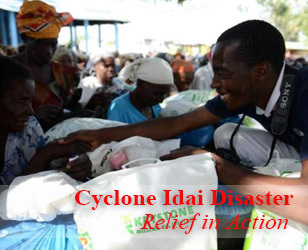 Volunteers immediately set up four relief service stations at the most severely affected location, providing blankets, hot meals and beverages, scarves, foldable beds, chairs, and heaters to survivors, families and rescue workers. Mobile kitchen vans were onsite to provide hot meals and beverages 24 hours a day. Other groups of volunteers were also sent to temporary shelters, hospitals and funeral homes to serve the impacted people, especially comforting those who were wounded or the families of the deceased. Two days after the quake, Tzu Chi volunteers expanded their care and services to nearby neighborhoods. 157 teams of volunteers took the initiative and went door to door to perform home visits to deliver care and well-wishing packages to comfort those who have been traumatized by the earthquake. Emergency cash was distributed to help families in need. On February 13th, 2016, after the last missing person's body was found at the disaster site, the city of Tainan officially announced the end of the rescue period, and the beginning of the reconstruction phase. With that, Tzu Chi's first phase of the disaster relief mission came to an end, while phase two to help people get "back to school and back to normal life" begun. During the first phase of relief, from Feb 6th to 14th, Tzu Chi mobilized 14,351 volunteer shifts (including 174 medical professionals). Volunteers provided 23,527 people with hot meals and 1,839 blankets, 560 scarves, and 660 foldable beds to survivors. They cared for 228 injured patients at hospitals, of whom 78 received emergency cash totaling NT$1,465,000, and had cared or visited 1,986 families, 151 of whom received cash assistance for a total of NT$2,640,000. On Feb 14th, more than 80 volunteers went to clean up Yujing Elementary School in Tainan in partnership with the school. They worked together to clear the earthquake debris on school grounds so that the school could resume classes on the 15th as scheduled. Even though the urgent relief phase formally ended, Tzu Chi's volunteers are following the motto, "First to arrive, last to leave." 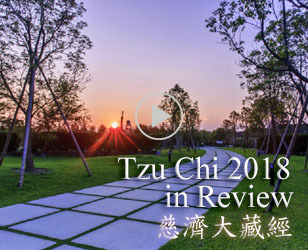 The second phase of Tzu Chi's work includes financial aid and grants to impacted students, assessment of damaged homes and school buildings for rebuilding, emotional and spiritual support to survivors and affected families for as long as needed. At the same time, Tzu Chi volunteers continued to tend to the needs of the injured and the families of the deceased, both physically and emotionally. Prayer vigils were also held for 8 consecutive days during the Chinese Lunar New Year to provide emotional and spiritual comfort for everyone affected by the disaster. When a major disaster has struck, reconstructing the damaged buildings is always easier than restoring the emotional well-being of those affected. Many suffer from symptoms of post-traumatic stress disorder such as insomnia, queasiness and nausea. 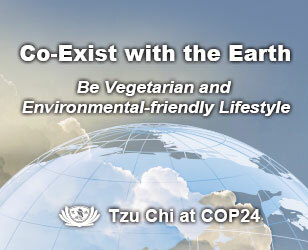 Therefore, one of the major goals for the Tzu Chi volunteers is to provide physical comfort and emotional support. After visiting 1,872 households in the affected area, volunteers found 859 households with actual damages and of which, 454 households needed continued assistance for economic, home repair or emotional issues. A post-traumatic psychological rehabilitation plan was purposed to provide care and serves not only to the victims, but also for the relief workers, friends and families of those affected, and nearby residents, as well as the general public, if needed. The vice superintendent of Dalin Tzu Chi Hospital, Dr. Lin, set up a series of workshops for psychological rehabilitation techniques after disaster, with the first two workshops held on Feb 16th and 17th. Dharma Master Cheng Yen, the founder of Tzu Chi, thanked all parties and groups involved in the disaster relief for their hard work and contribution. During this disaster, Taiwan received blessings and well wishes from all around the globe. Whether from Nepal, the Philippines or Malaysia, many, including those recently affected by disaster themselves, have contributed in every way they can to help. Being able to send love and donations is no longer a right only for the rich, but for any loving person with the will to do so. Master Cheng Yen wishes that this love will bring peace and harmony to all of humanity.
" Good and evil originate in the mind. Good thoughts bring a ray of light for humanity. Bad thoughts bring darkness and wrongdoings. "